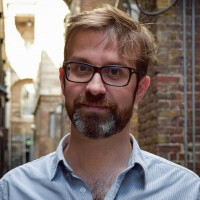 Alex Fleetwood, CEO of Sensible Object has created one of the most exciting, successful new gaming start-ups in the UK. With the mission to make games for our connected world, Sensible Object launched in 2016 with its flagship title Beasts of Balance, a physical-digital hybrid that challenges players to stack a tower with beautifully crafted “Beasts.” This summer the company launches When In Rome, the first title in its second game series Voice Originals. The series is a result of the company’s participation in the first Alexa Accelerator, powered by Techstars, where Sensible Object executives worked closely with the Amazon Alexa and Techstars teams to create a unique fusion of board game and Alexa Skill. Sensible Object just shipped the world's first Alexa-powered board game, When In Rome. With over 40 million smart speakers in the market, this is a major platform opportunity for developers and studios. In this talk, CEO and product lead Alex Fleetwood will talk through the custom tools they have developed to develop, playtest and ship quality games on this new platform, share insights from the front line, and talk about their plans for the next 12 months. Attendees will learn about the potential of voice AI as a gaming platform, understand evolving best practices around development, team structure and collaboration, and takeaway an understanding of what it's really like to develop games for smart speakers.